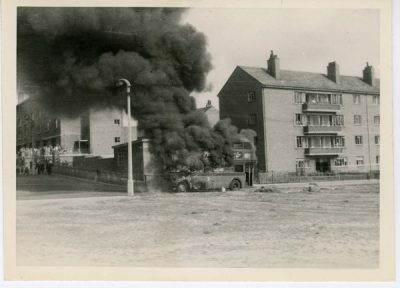 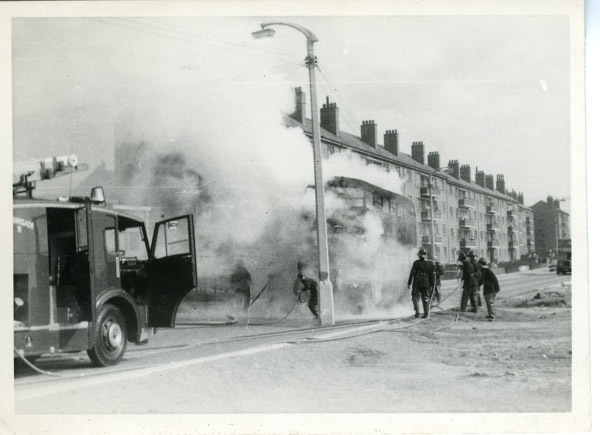 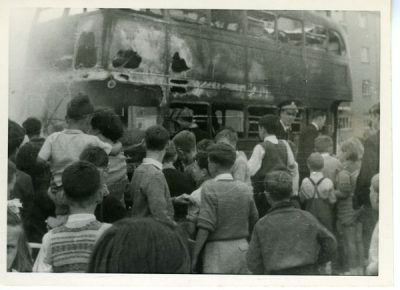 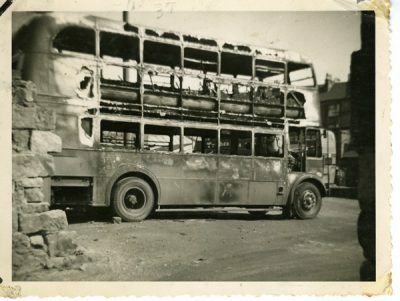 Closer view of smoke coming from burning bus, JXC 180 1957, near flats at Burnmouth Rd, Barlanark. 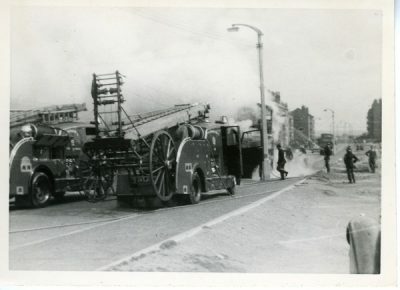 Fire engine in forground left. 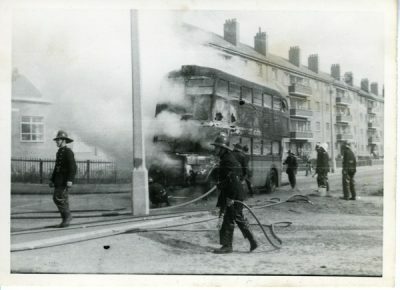 Group of firemen with hoses around smoking bus.